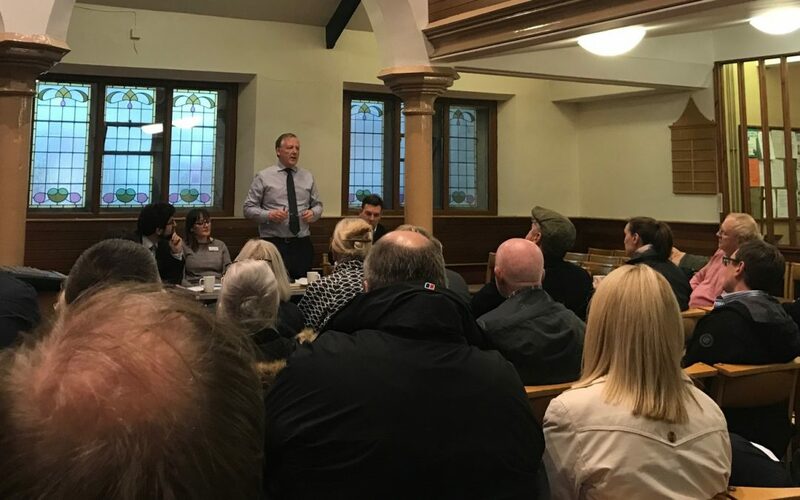 The meeting was arranged because of the wide range of concerns about the train services to and from the Town and Kevan wanted to provide local residents with the opportunity to speak directly to the Operators. Kevan has thanked everyone who attended to raise concerns about train services and has agreed to raise specific concerns with the Operators and will keep those who attended updated. Kevan will be holding a further meeting soon. In the meantime, if you haven’t already provided an email address, please contact [email protected] if you would like to be kept informed.